Accelerate R&D and solve your most complex automotive and transportation engineering problems. Our experienced team is known for using CFD to help our clients in the automotive and transportation industries outperform the competition. Whether you are looking to create digital prototypes, improve fuel efficiency, understand aerodynamic performance, or even automate workflows, TotalSim can help your R&D team. We have developed a refined process to help you optimize performance and efficiency. 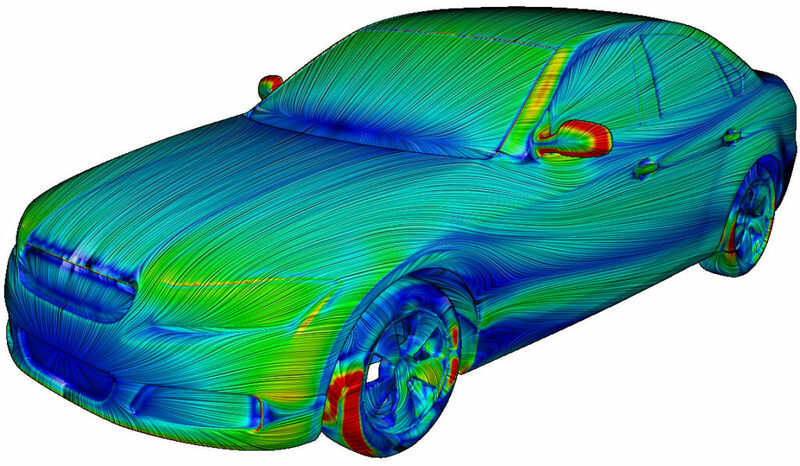 There are many aspects that are important to the performance of a vehicle including aeroacoustics, external aerodynamics, internal flow, and thermal management. Our CFD tools help you understand and visualize your vehicle’s performance that may have only been previously available in a wind tunnel or otherwise was too cost-prohibitive to physically test and iterate. Let us help you perfect the aerodynamic design of your vehicle by drawing from our extensive aerodynamic knowledge and experiences to ensure you stay ahead of the competition. Lower your R&D spend on prototypes with virtual prototypes, expand your capabilities to assess speed, fuel efficiency and safety without the need to conduct as many expensive physical tests, and enhance efficiencies by automating workflows. No matter your specific goal, TotalSim thrives on solving the most complex aerodynamic challenges.